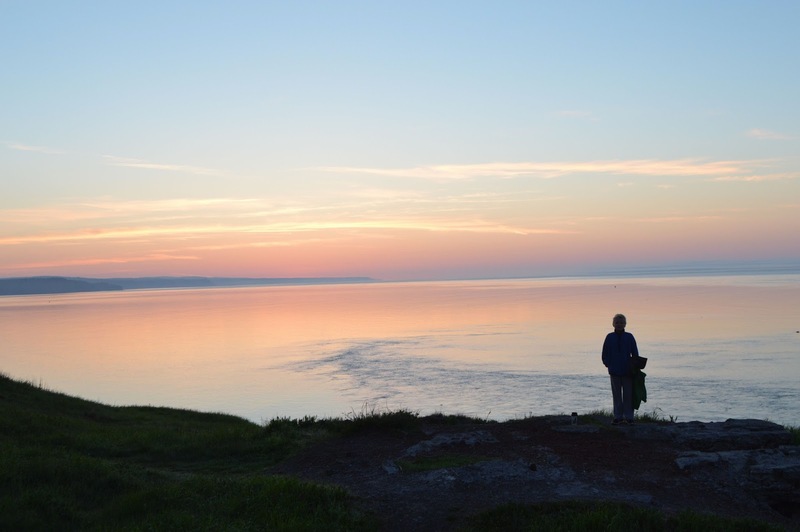 When we left the Bay of Fundy National Park on Friday. It was raining and quite cold. The drive to Nova Scotia and the area south of Halifax would have been a 5 hour drive for average vehicles, but with a number of stops it took us all day. 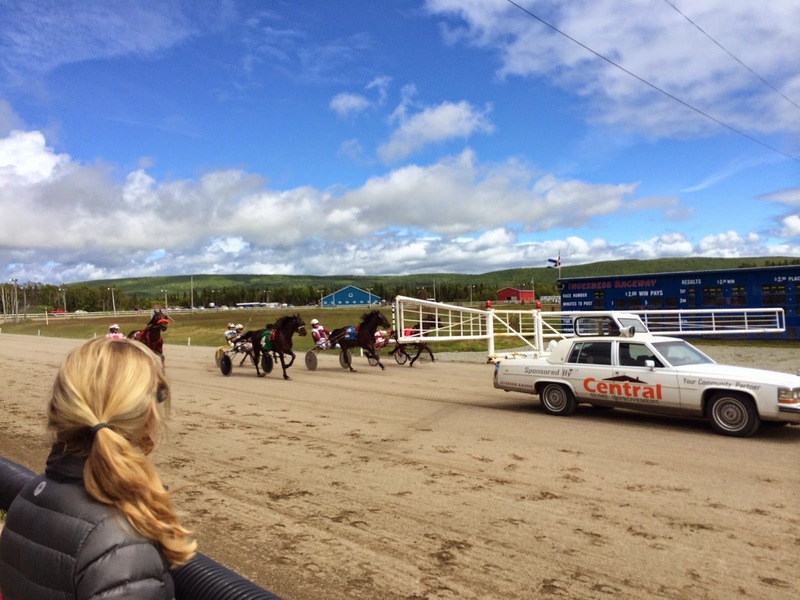 Thankfully, the sky had cleared for a bit as we crossed the provincial border. 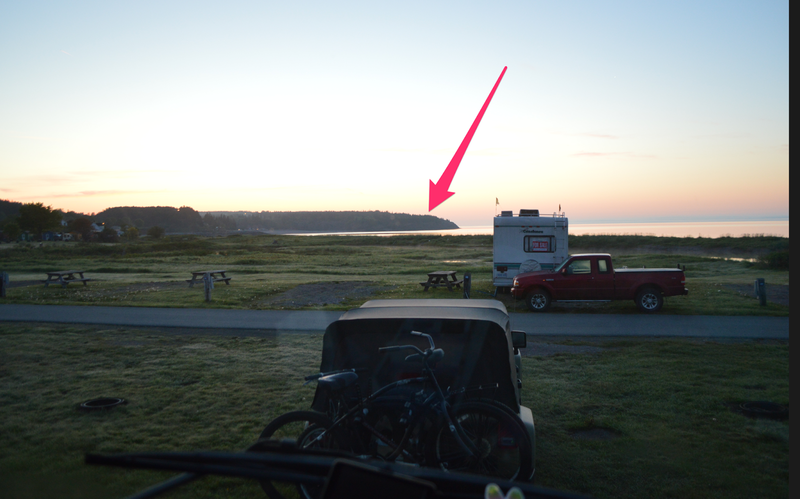 We set up camp in Hubbards, NS at Hubbards Beach Campground. We pulled in as weekend campers were well into their evening. 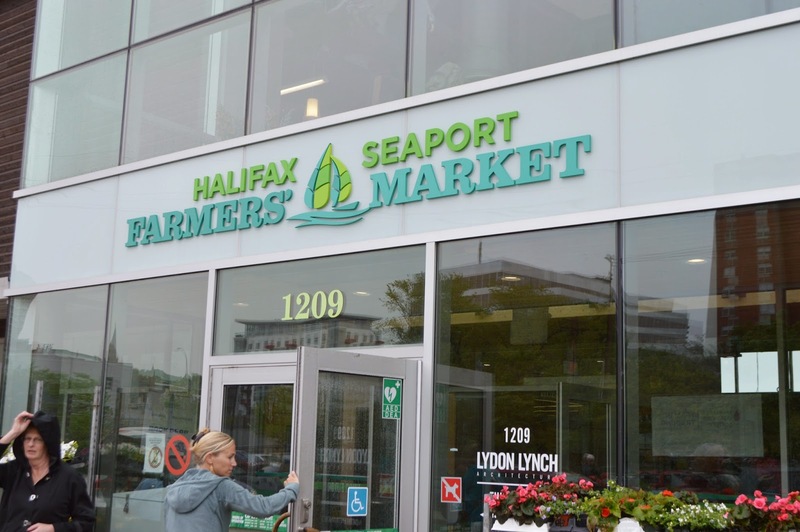 The next day we headed 45 minutes into the Halifax farmers market. It was misty and cool again so we were thankful to be inside. Visited the well-worn Children's Discovery Center (another free admission thanks to the reciprocity agreement from our home-town museum membership). 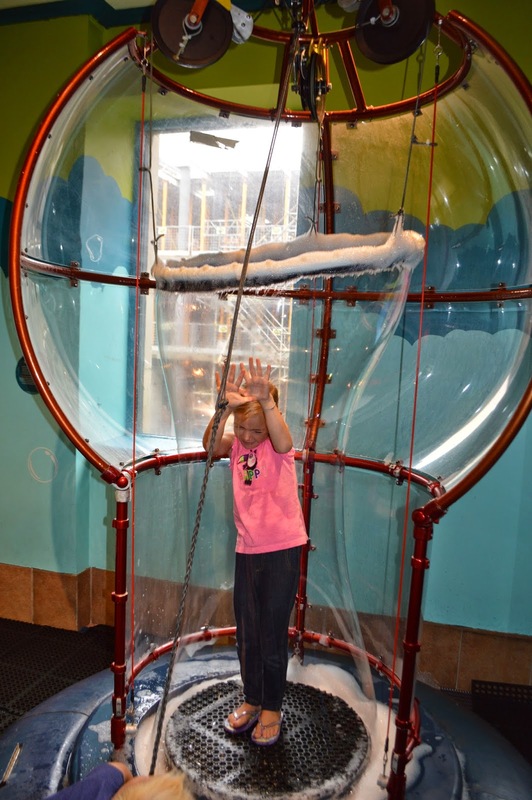 Katie is inside a giant bubble. 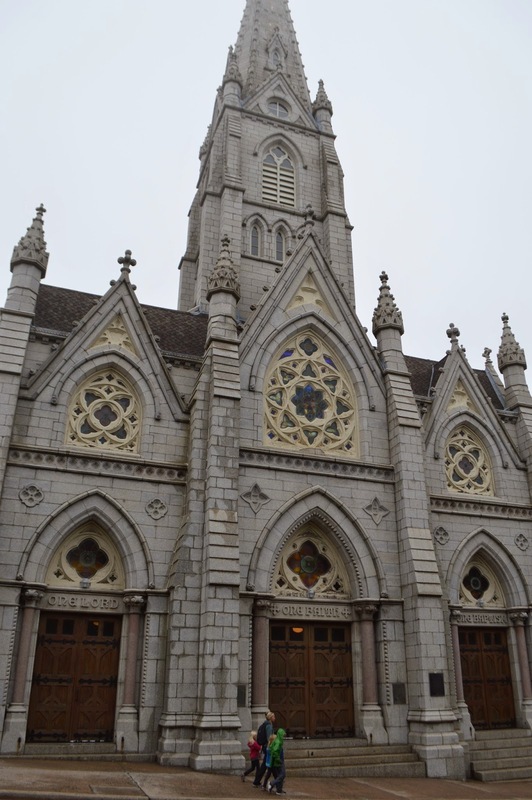 We went to another beautiful Cathedral Basilica - St. Mary's of Halifax. 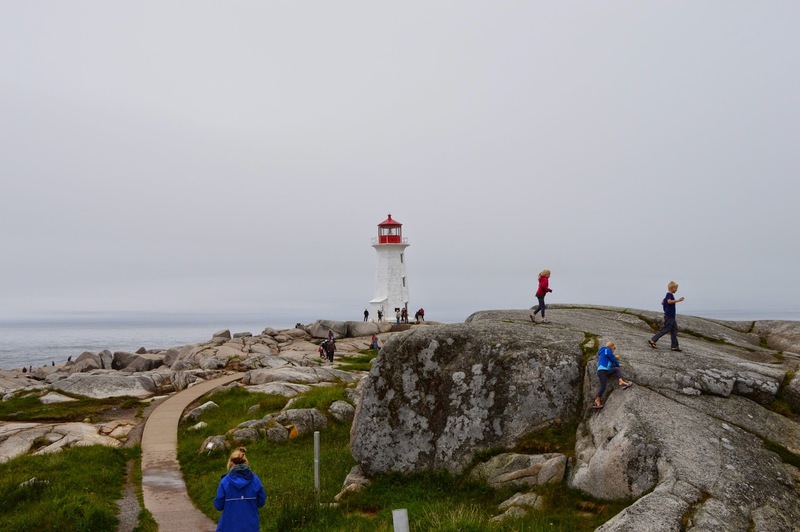 The next AM, was Peggy's Cove day. 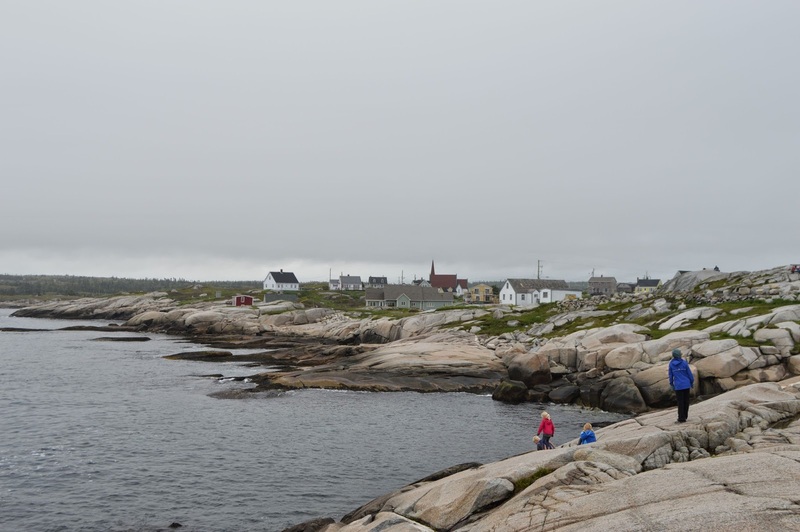 Because of it's protective harbor, Peggy's cove is an old fishing village. 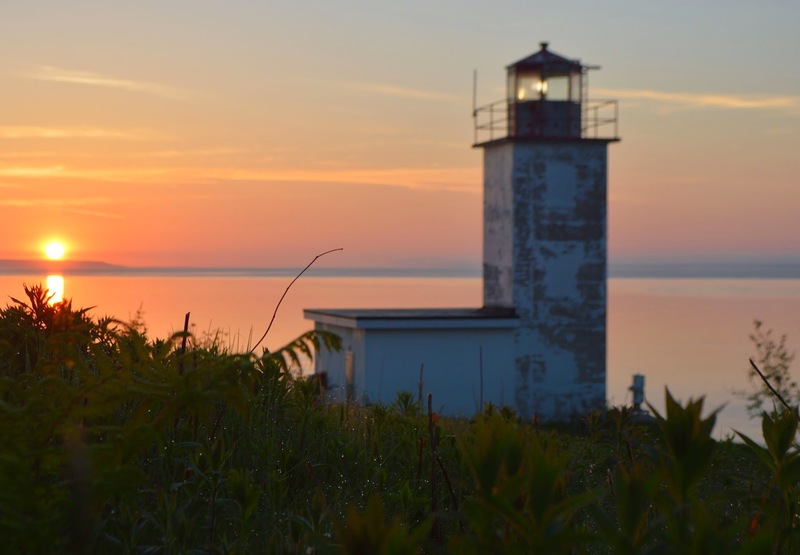 It is also home to the most photographed lighthouse in Nova Scotia. 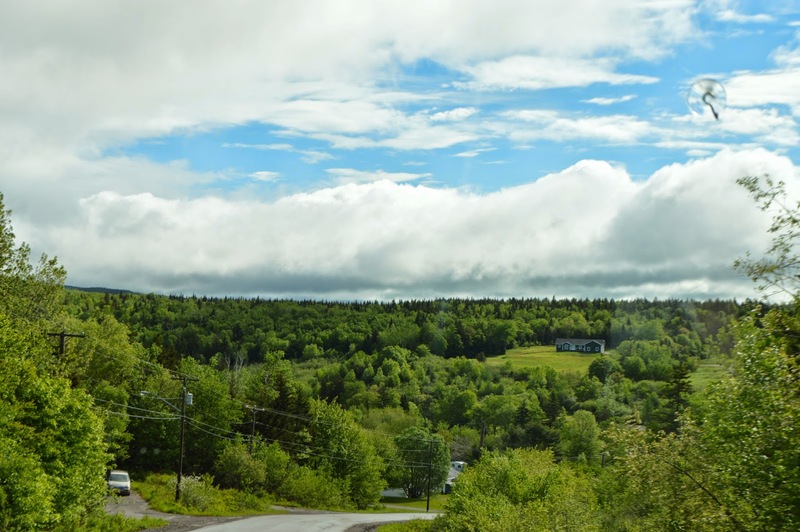 It's one of the few areas we've seen in Nova Scotia that is not flush with pine and hardwoods. It's very scenic even with the clouds. 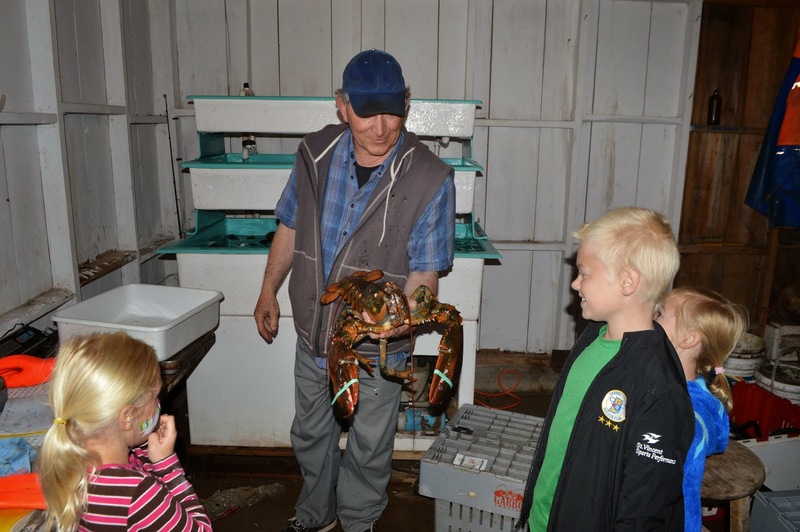 On our third day in Nova Scotia we headed south from Hubbards to Mahone Bay and Lunenburg. 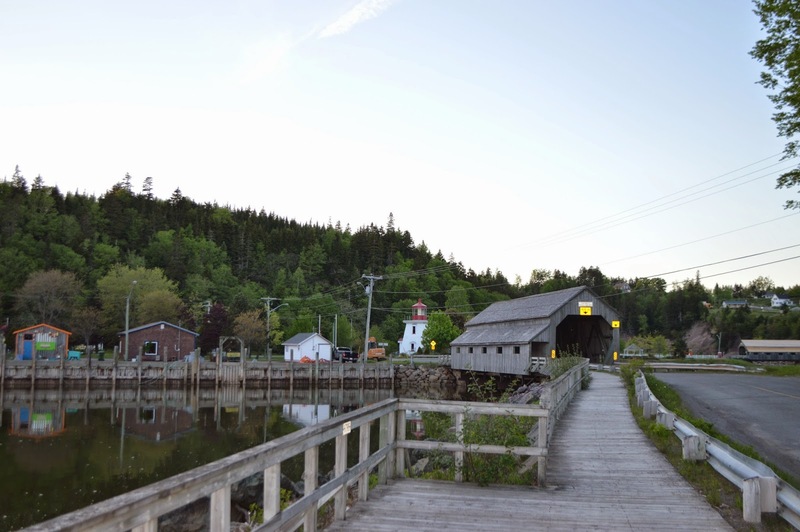 Both quaint villages with scenic harbors, restaurants, and shops. 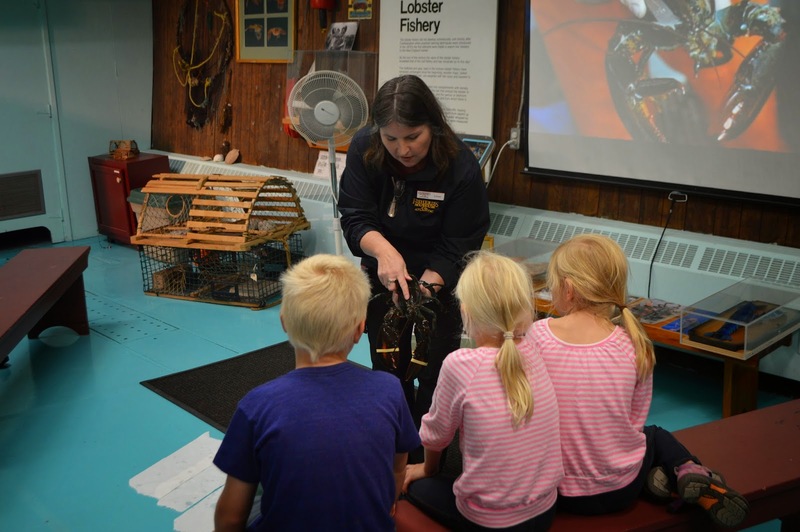 The weather was very cool again (low 50s with wind) so it was a perfect day to spend a few hours at the Fisheries Museum of the Atlantic. It was Daddy's favorite museum of our trip. 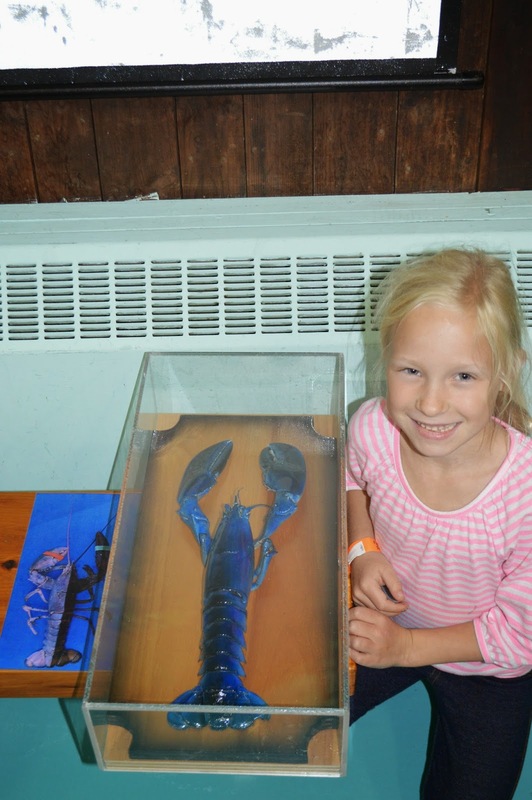 We learned that on very rare occasions, an American Lobster can be blue. 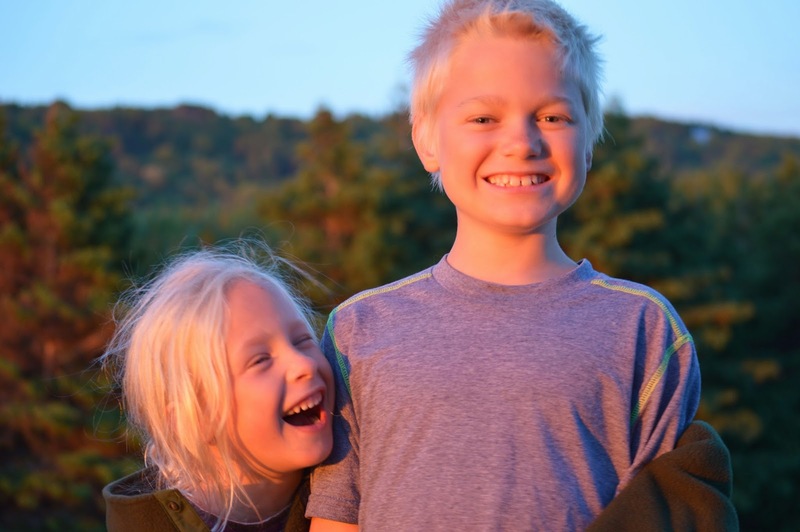 It's a genetic wonder from God - kind of like having a twin sister! 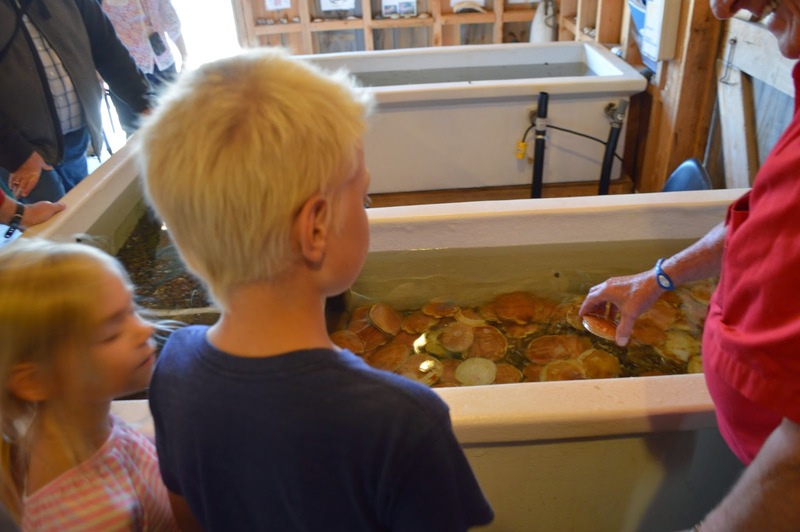 Maybe Daddy liked it because he was able to eat fresh, raw scallops during one of the tours. 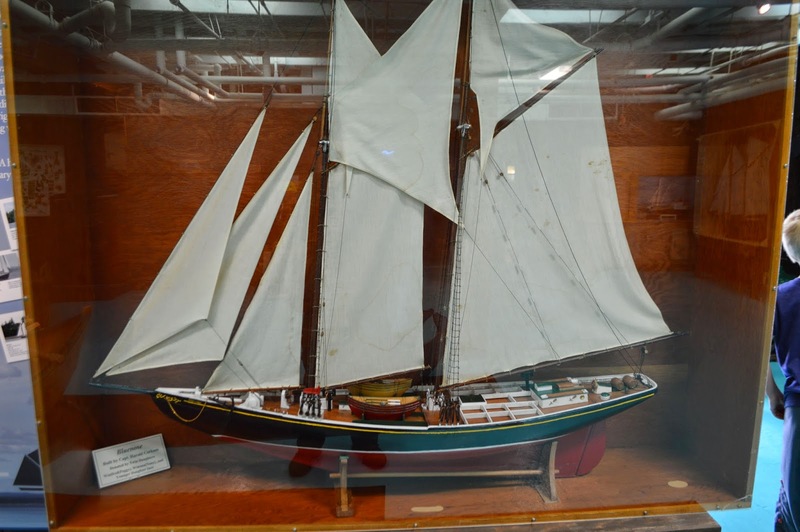 There was a famous fishing and racing schooner from Nova Scotia called the Bluenose. It was built in the 1920s. It lost only one race in 17 years. It's days of fishing were numbered due to the introduction of the motorized vessels shortly thereafter. 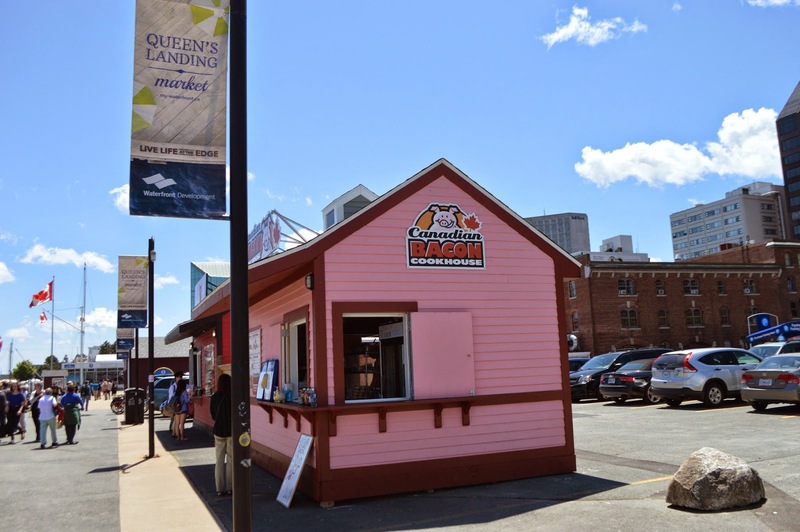 It's an icon in Nova Scotia. 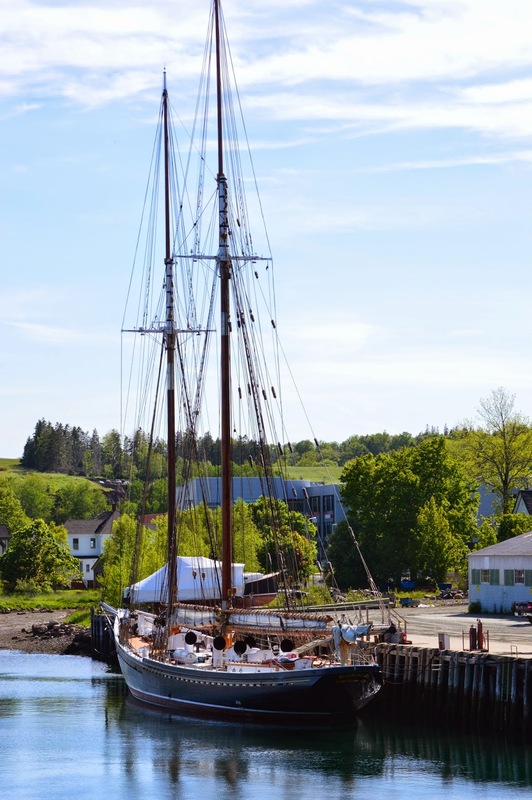 In the 1960s a replica, the Bluenose II, was constructed. It was in poor shape, and in 2010, a rebuild project was started. The story of the rebuild is a current political flashpoint in the country. It's all over the news and came up in conversation with locals. It's been a government run project that is over budget by millions and still not officially complete. We found the Bluenose II in the harbor. 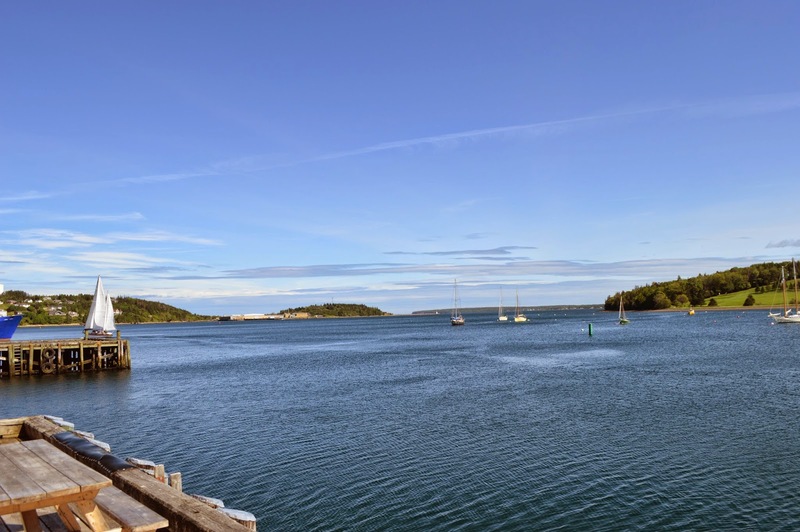 Another harbor shot from Lunenburg. 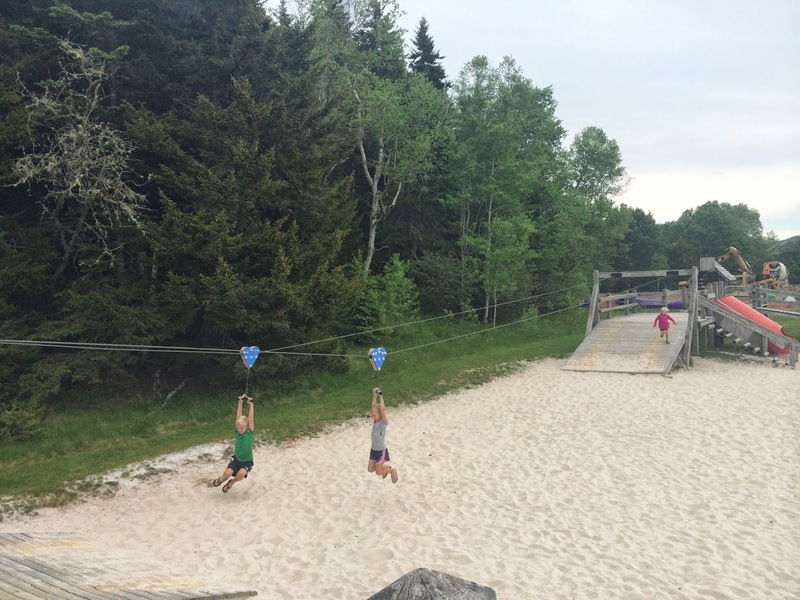 The campground is not our favorite, but it's centrally located and the playground has a fun "line". 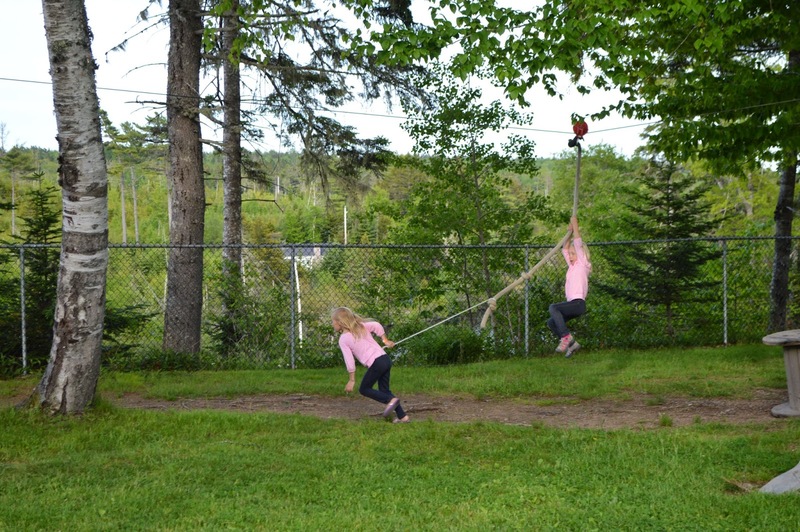 We can't call it a zipline because it's requires more than gravity. 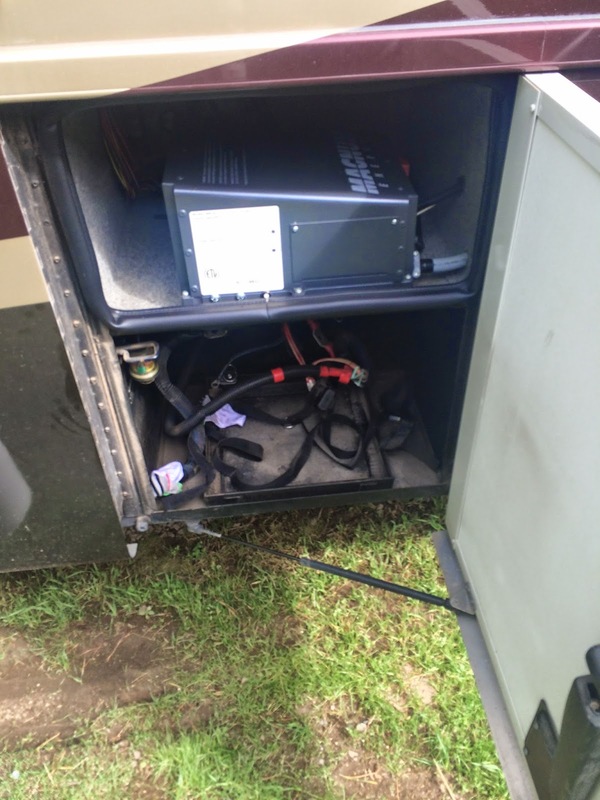 We had replaced the four "house batteries" before we departed on our venture. It was time to replace the two "chassis" batteries as the cold weather seemed to have taken their last bit of life. 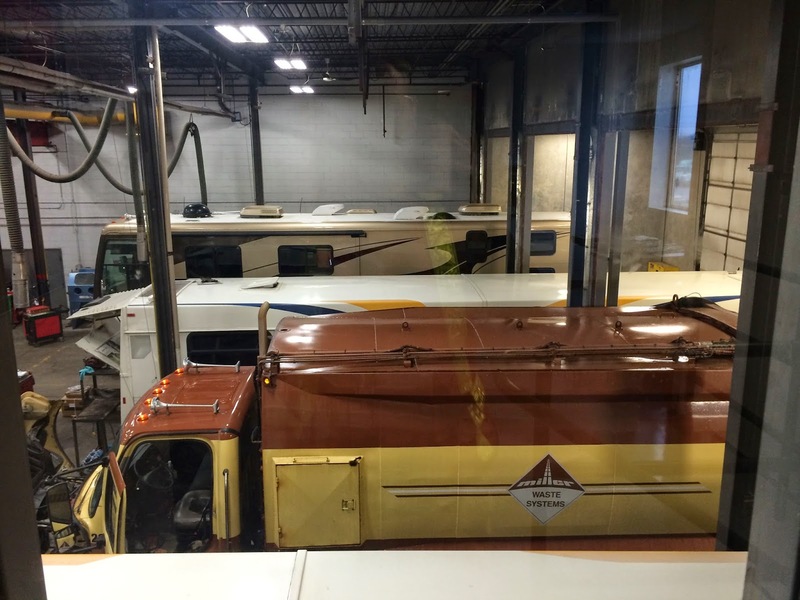 We stayed the night for free outside the Cummins shop. 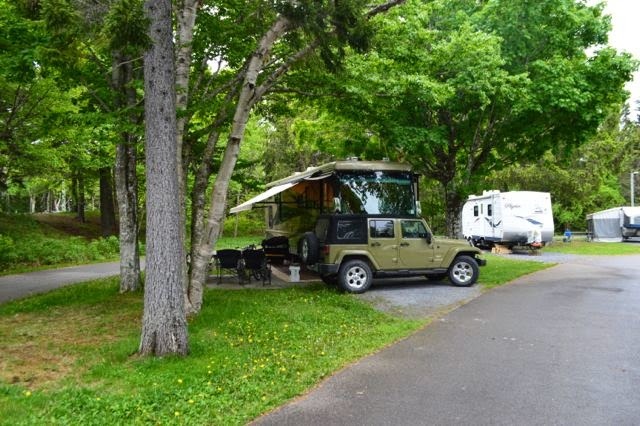 We had planned to head north to Cape Breton, but the weather forecast called for 15 degree warmer temps in Halifax than the north, so we found a very nice local park in Dartmouth to spend the next couple nights. Because it was only ten minutes from the shop, we pulled in at 8am. Normally, campgrounds have a check-in time around noon, but it's off season and folks at Shubie Park were very welcoming. 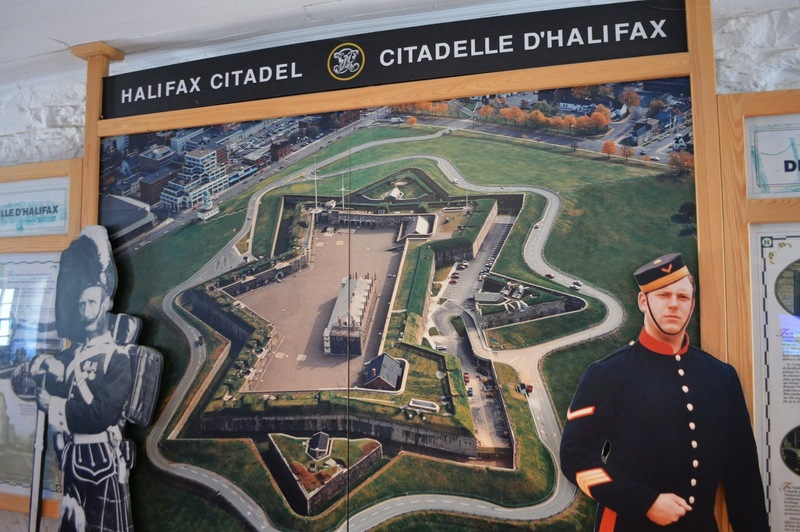 We visited the Halifax Citadel and enjoyed the mock (loud!) 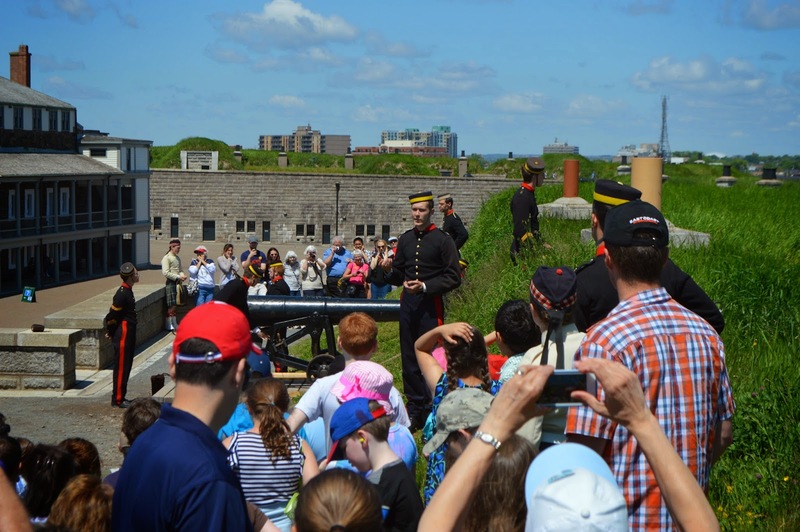 cannon firing. The next day we had one of our first "down days" in a long time. 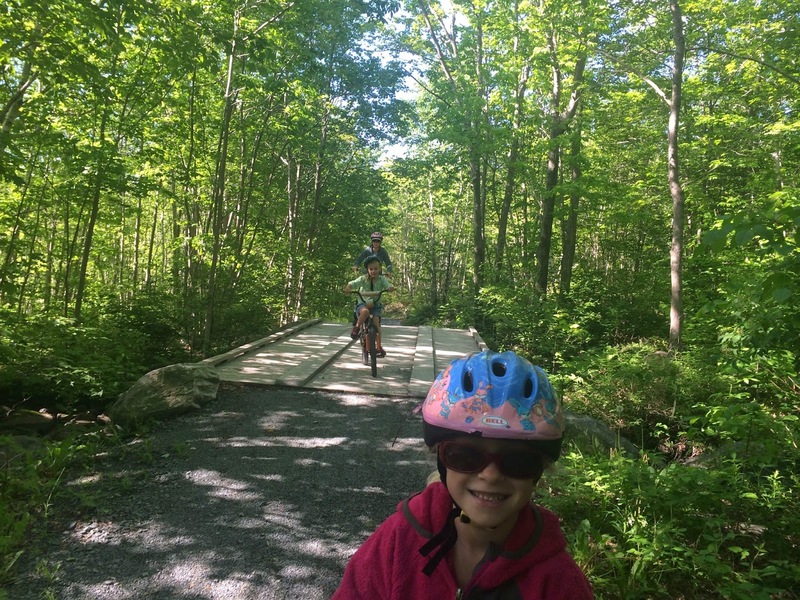 We didn't leave the park and spent the day on school, biking (amazing set of trails around this park), tennis, Wii, and of course the playground. 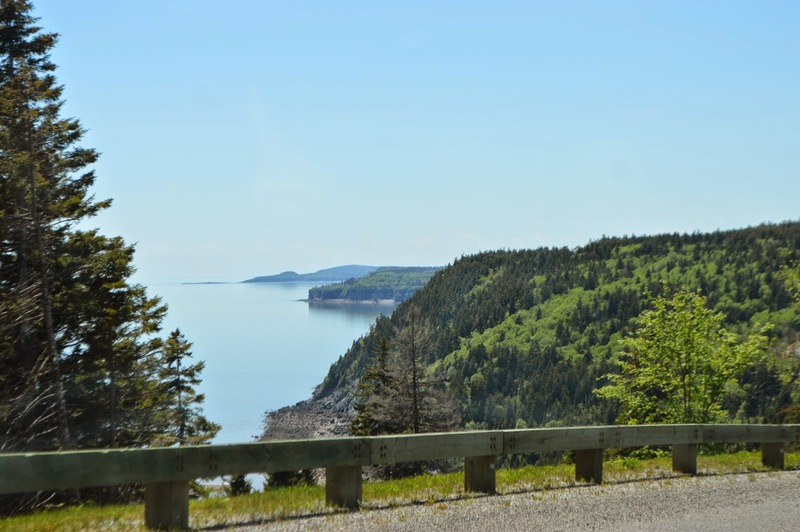 The drive to Cape Breton meant crossing the Nova Scotia mainland and then heading north up the western coast on the Ceilidh Trail. The day was cloudy and cool with a stiff headwind. We arrived in the Inverness area around 3pm. 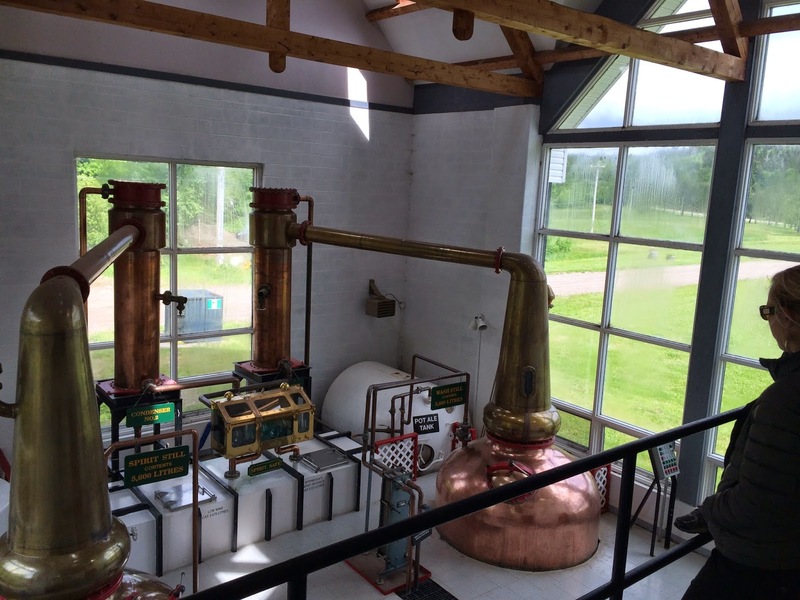 We visited the only single malt whiskey distillery in North America (technically there are two others but they are less than 10 years old so they don't yet have a product). 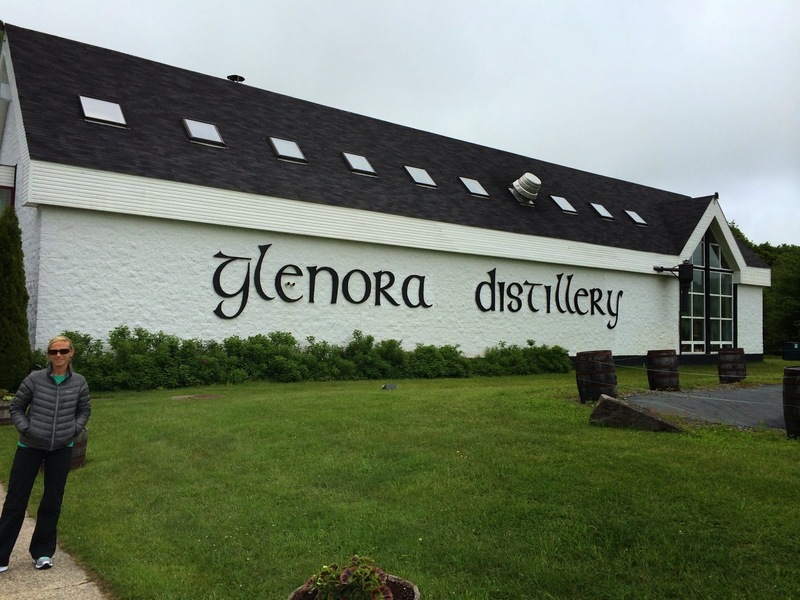 We had not heard of Glenora before coming to Nova Scotia, but it was an informative tour on picturesque grounds - it turned out to be a private tour because once again we are in Off Season!! 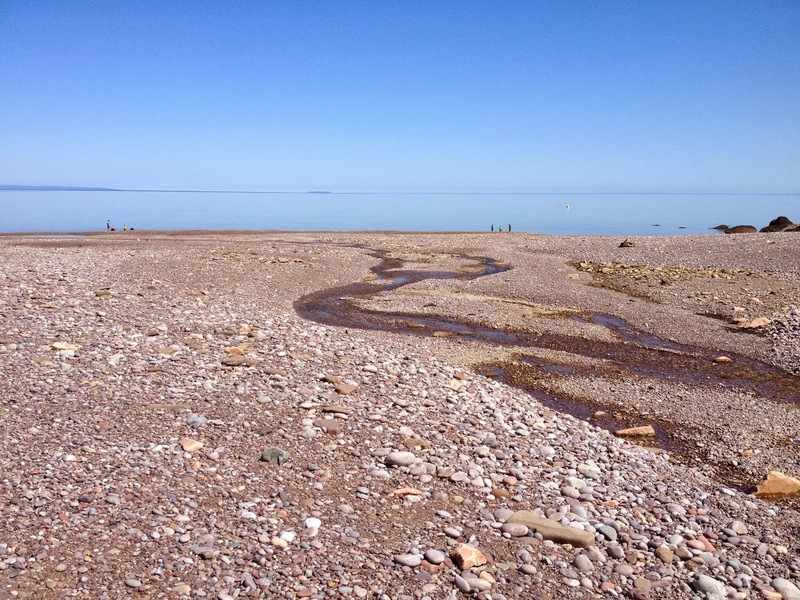 Sunday we headed south with the jeep to spend time in a few places we had passed on the Ceilidh Trail. 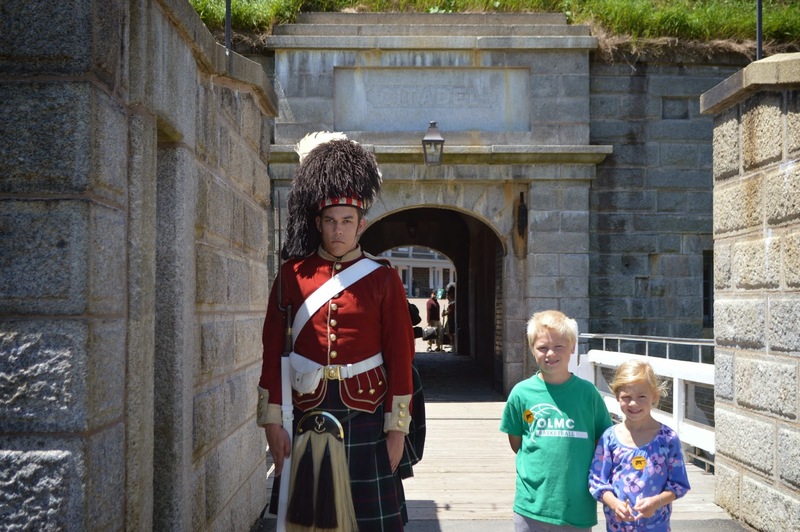 In this area, you feel as though you are in Scotland both from the people and the countryside. They still teach Gealic in the local schools. 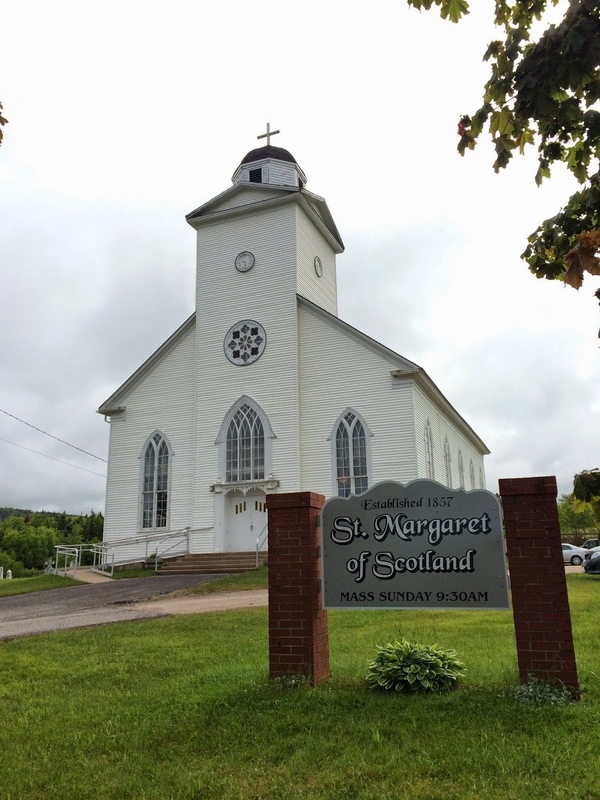 Architecturally St. Margaret of Scotland was quite different from the Halifax Basilica last week, but warm, and friendly. They said the Lord's prayer in Scottish Gealic. 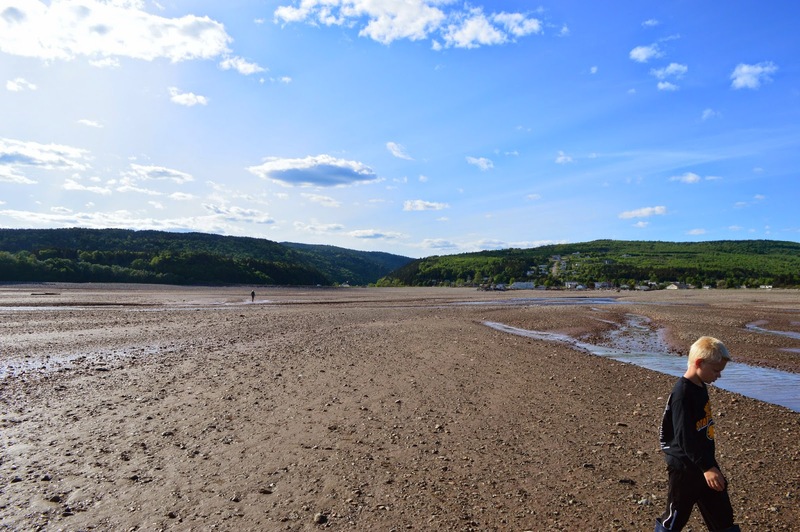 We decided to try finding a coastal route to drive the 20km back to Mabou Bay. It began as poor gravel but turned to mud and looked more like logging or 4 wheeler trails. 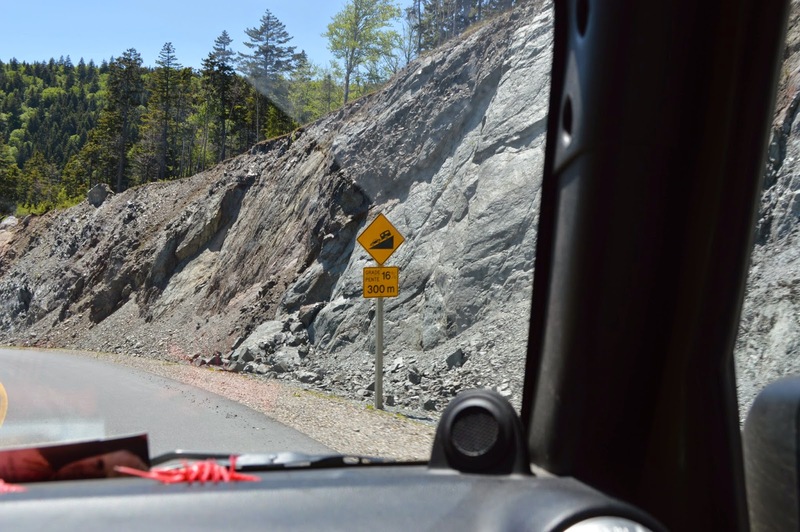 Lesson - once a road starts to deteriorate, it generally doesn't get better. As mentioned, they've had a lot of rain. Almost two hours later when we emerged, we were all glad to be back on pavement and are done "exploring" Nova Scotia back roads for a while! 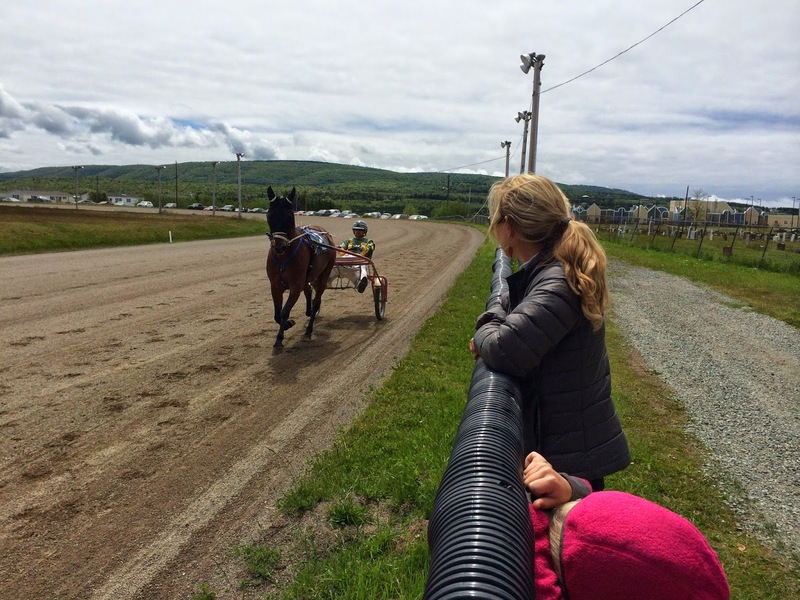 We happened upon a local Harness Racing track with free Sunday admission. Another new experience! 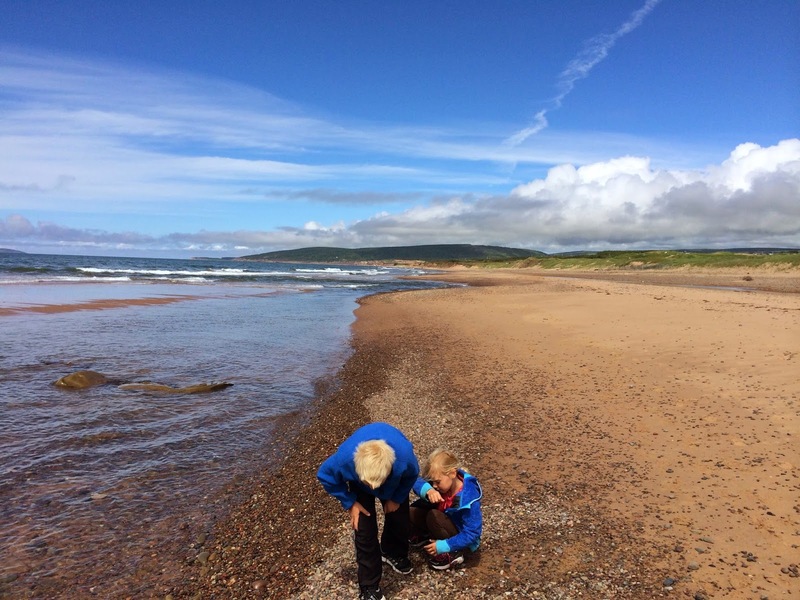 The beach in Inverness was full of sea glass! And to top off our day on the Ceilidh trail, we attended a traditional "Ceilidh" which wiki defines as a traditional Gaelic social gathering. Isn't that called a pub? 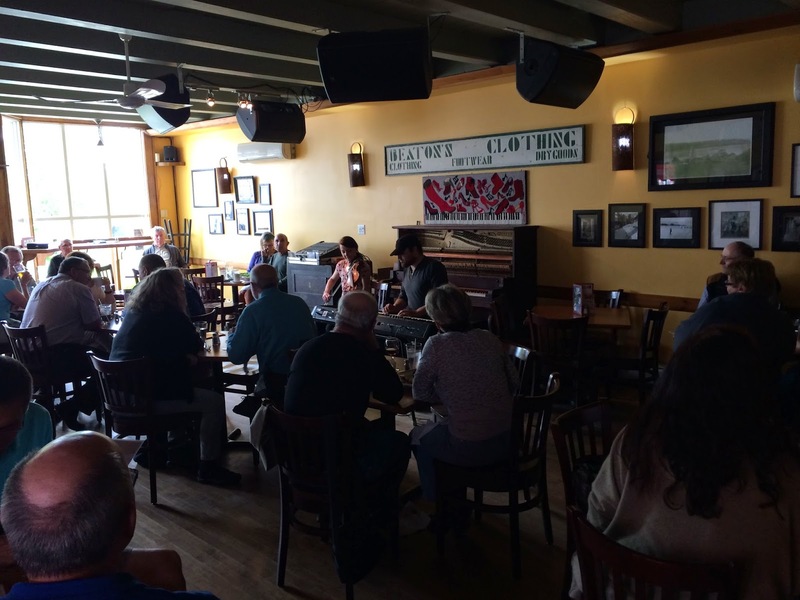 Either way, it's a fun time and live music doesn't get any better than a fiddle and piano. 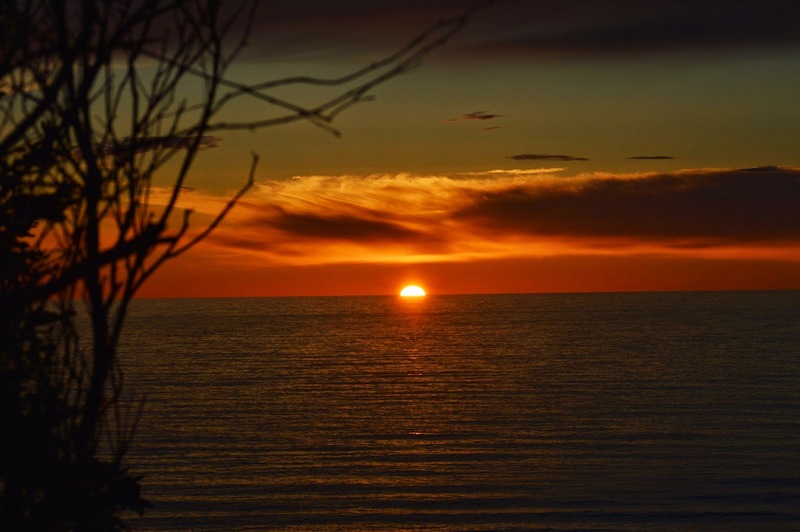 And an amazing sunset just out the door of our campsite. 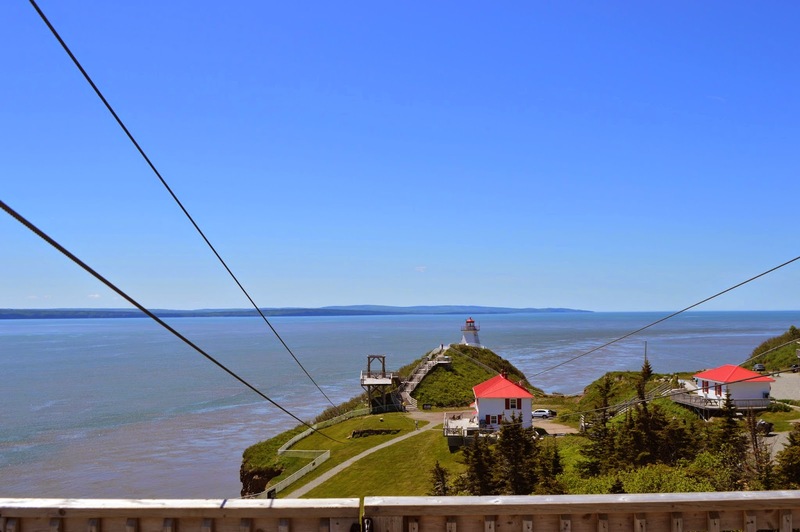 Today we head north to the Cabot Trail. 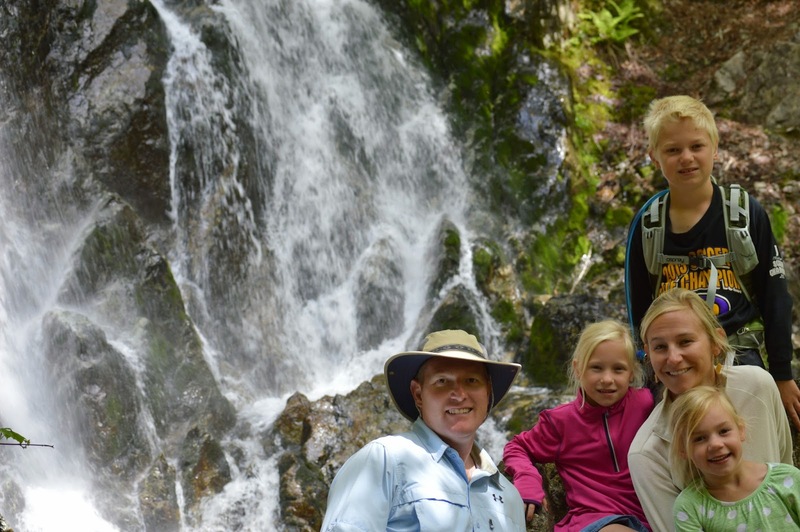 Quote from the week: We have been watching the original Brady Bunch series as a family. After a few episodes, everyone is naturally singing the famous opening theme song. And surely making the Canadians sigh at their American visitors in the RV;) One evening when the song ended, Anna blurted out "and IN COLOR!" because that is what it said on the screen. We are pretty sure she hasn't yet been exposed to any black and white re-runs, but she sure was excited about color! May God bless all with good health, safe travels, and much love in the coming week. 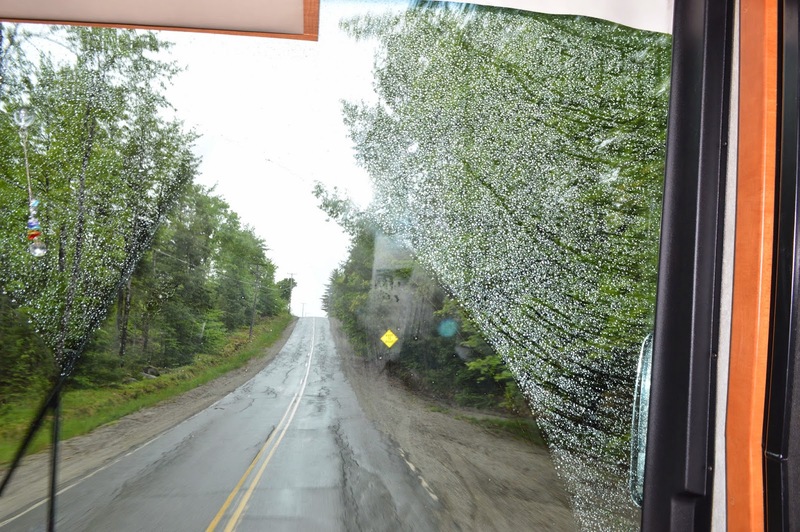 It was raining as we departed the Bar Harbor/Acadia area and headed north. 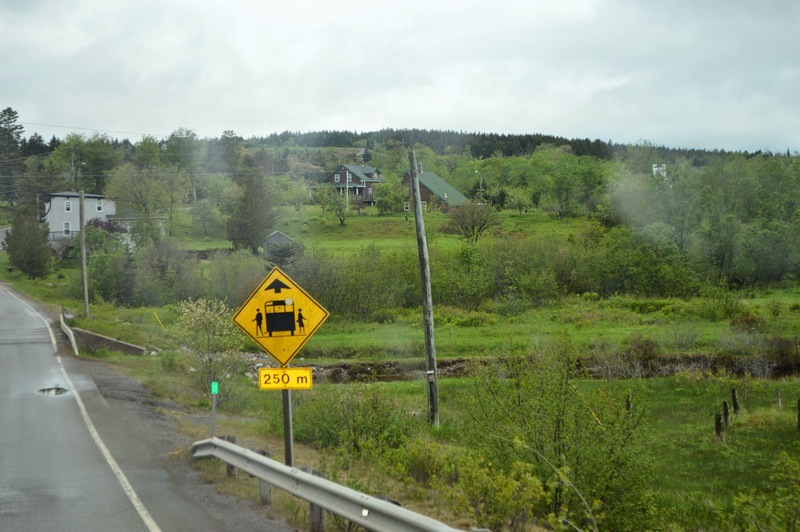 The route to Calais, ME/Saint Stephen, NB was full of exciting hills and two lane fun. Eventually the 6 Flags, ME ride ended and we arrived. 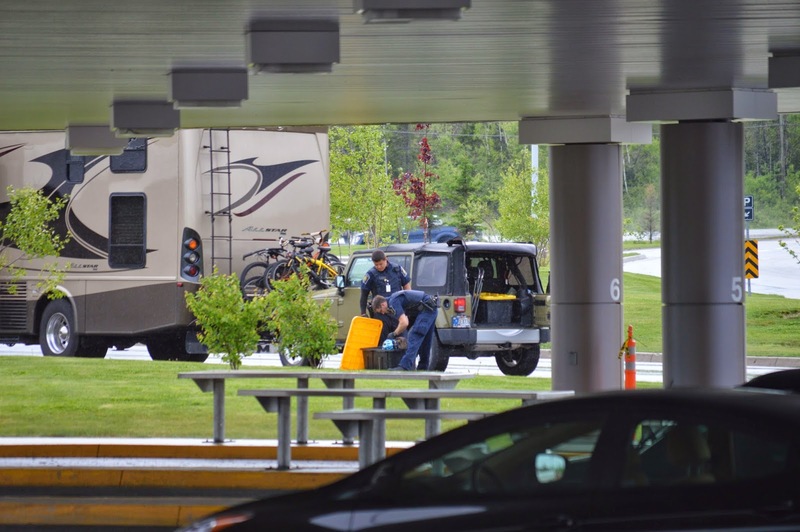 When we entered into Canada last fall in Montana, the process took all of 30 seconds and almost left us with a feeling of disappointment after so much prep and $ to get everyone passports etc. We hoped this time would be similarly disappointing....but it was not. When in the US, we made sure we were able to protect ourselves and we safely exercised our 2nd Amendment right while traveling. But we left those "rights" back state-side with a friend, knowing we were headed into Canada. Well, we didn't send the holster home and forgot it was onboard. When they find something like an empty holster, they go into aggressive search mode. After all, would hate to have a family of 5 headed into Canada able to protect themselves?! They must be up to no good! They also were not crazy about the fact we had BEAR spray that we had acquired the last time in Canada. "Why would you need bear spray?" they asked? Really? They went through everything. 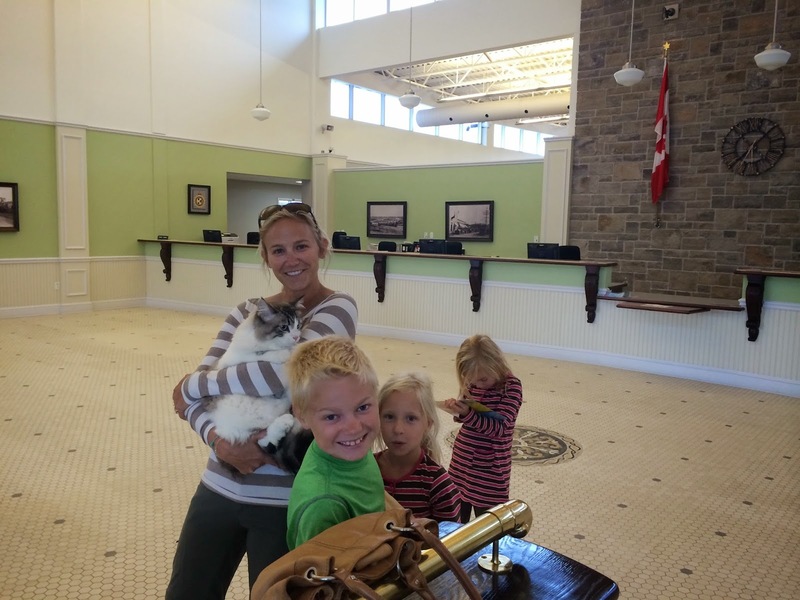 We had to bring the cat into the waiting room (sans cage) which provided entertainment for the hour or so it took to rifle through the RV and jeep. In the end, they were nice enough, didn't blacklist us for future entries (but did threaten), and didn't make too much of a mess. Back on the road a couple hours later than expected, the roads immediately changed. 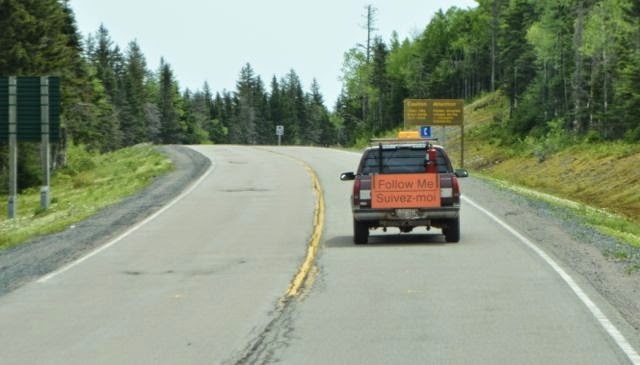 Highway 1 in NB is probably the best/newest highway we've driven. Immaculate. It was still raining so no great pictures, but it was lush and green. Saint Stephen, Saint George, and then it was time to stop at Saint John. We arrived just before the CostCo closed and stayed the night with a view of the city. We were already noticing the people here are SOOO nice. The next AM we drove down from the CostCo hill and on to St. Martins. A short 45 minute drive. 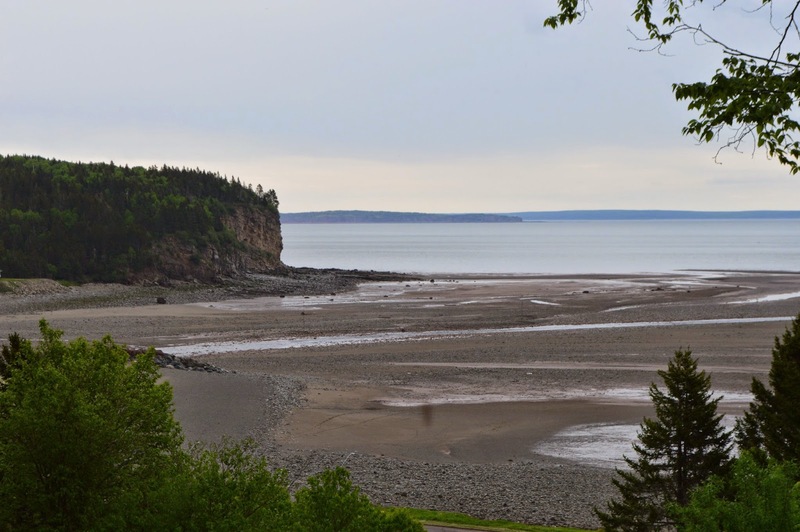 We arrived at Century Farm Campground and were given a spot with a great view of the Sea Caves in the Bay of Fundy, less than a mile away. 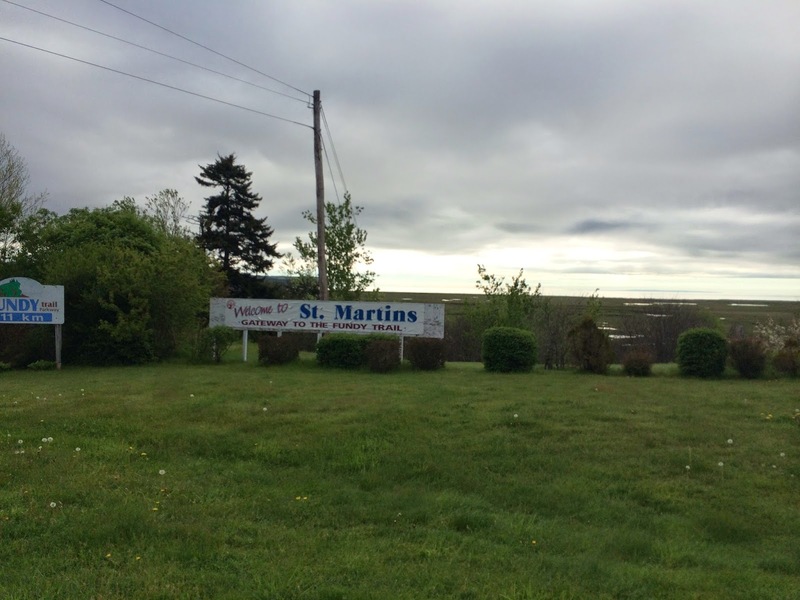 The annual St. Martins "Showcase" was taking place the day we arrived. 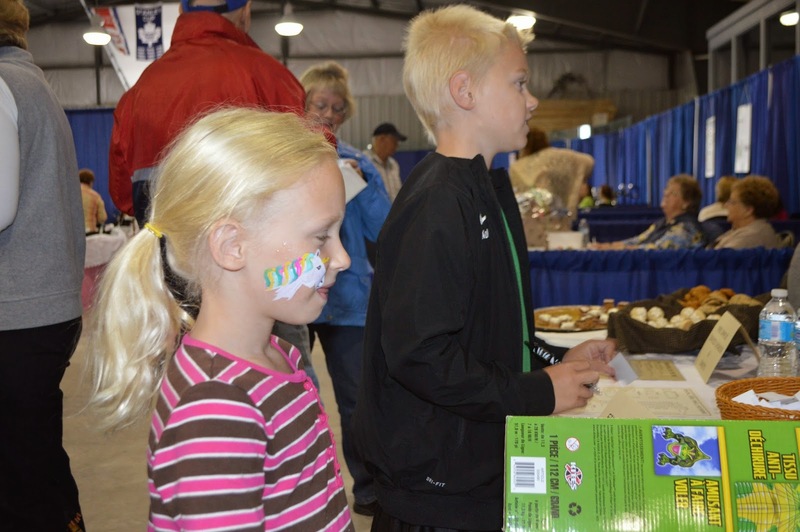 It was a perfect intro to the small town because EVERY business in the community had a booth. And there was face painting. 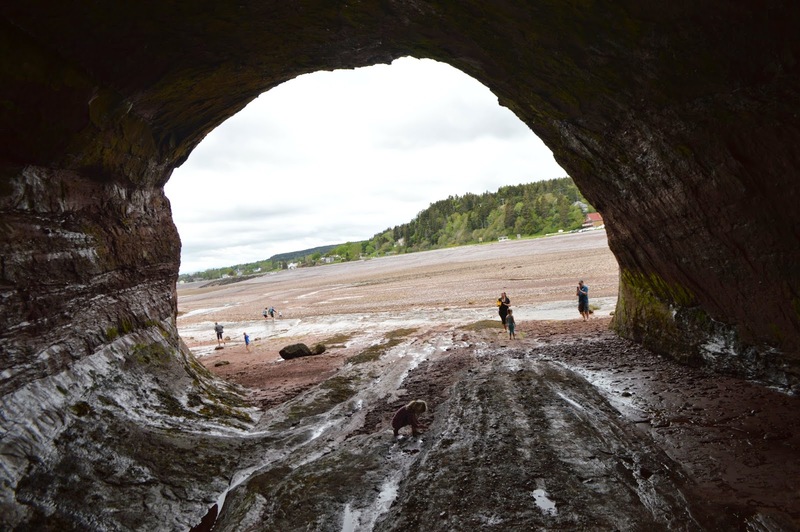 The tide was out (~25') that afternoon so we ventured out into the sea caves (and mud). 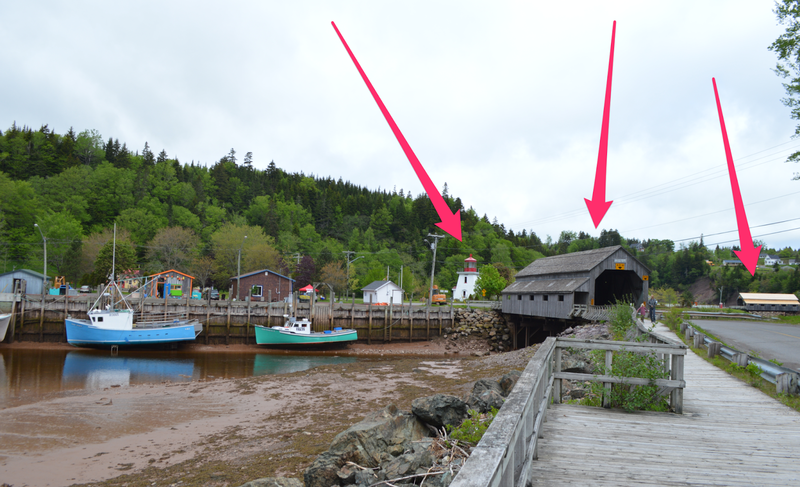 The small harbor is the only place in the world that you can get a picture of TWO covered bridges, and a lighthouse. So we had to take the picture. 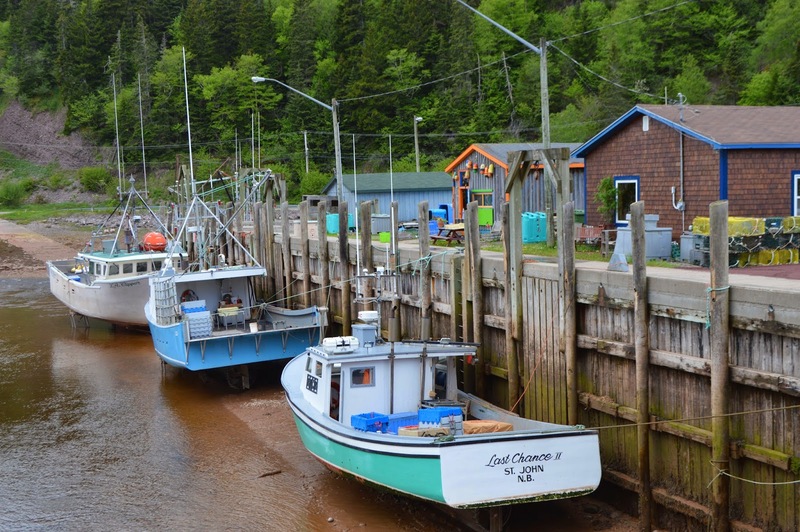 Here is the same picture with the tide in (unfortunately the lobster boats were gone). And another picture of the harbor at low tide. 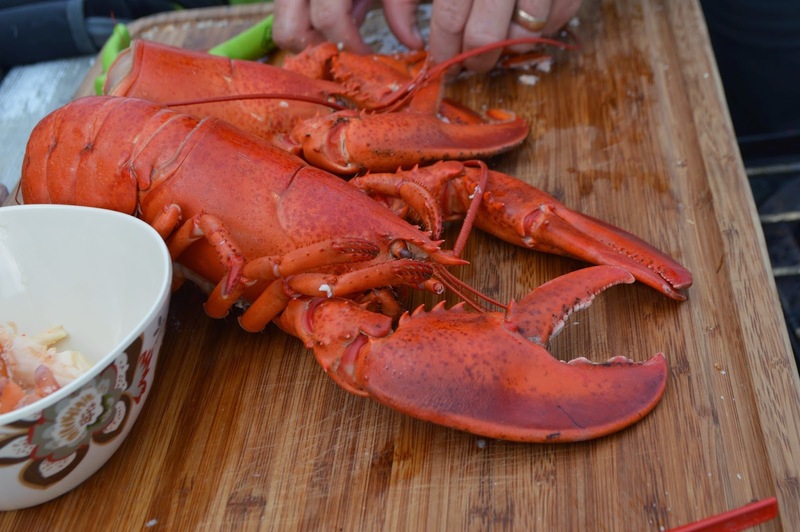 Live lobster was $5.50/lb (Canadian!). So for two nights in a row we visited the Lobster Man (our name, not his) and stuffed ourselves on homemade Lobster rolls. 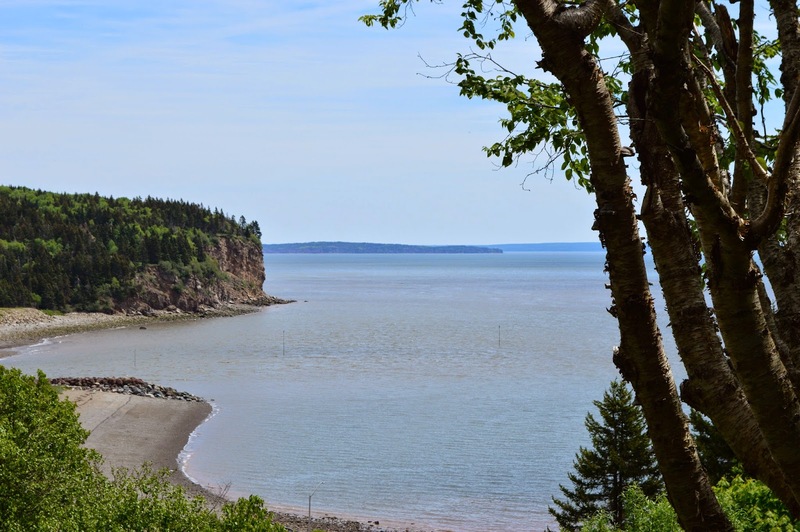 St. Martins is located at the entrance of the Fundy Trail, a 14 mile scenic road along the Bay of Fundy, with an adjacent multi-use hiking/biking trail. 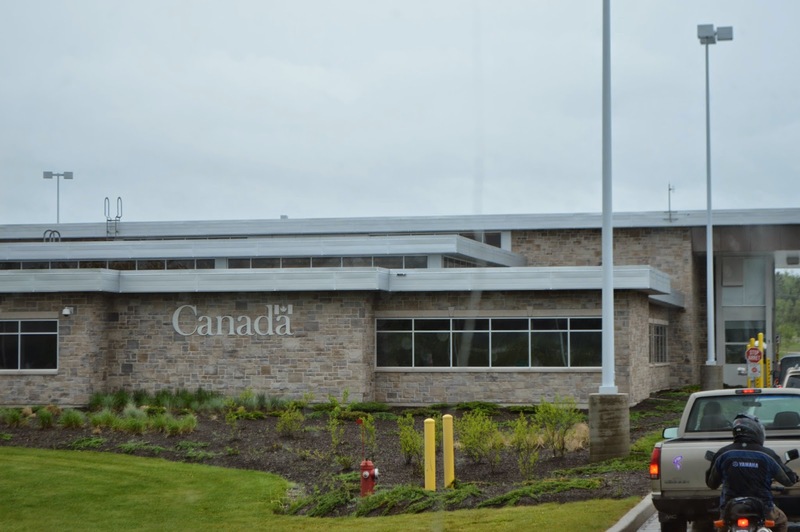 The property is currently Provincial and run by a non-profit. 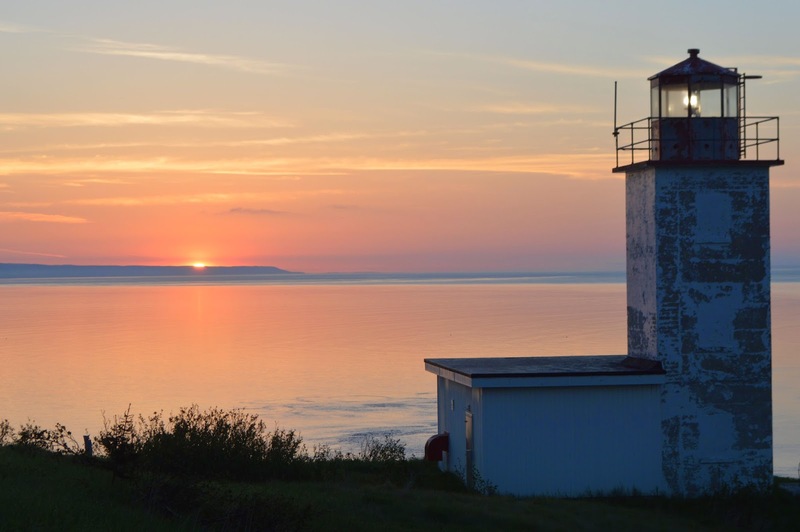 The goal is to continue the road and connect with the Bay of Fundy National Park. 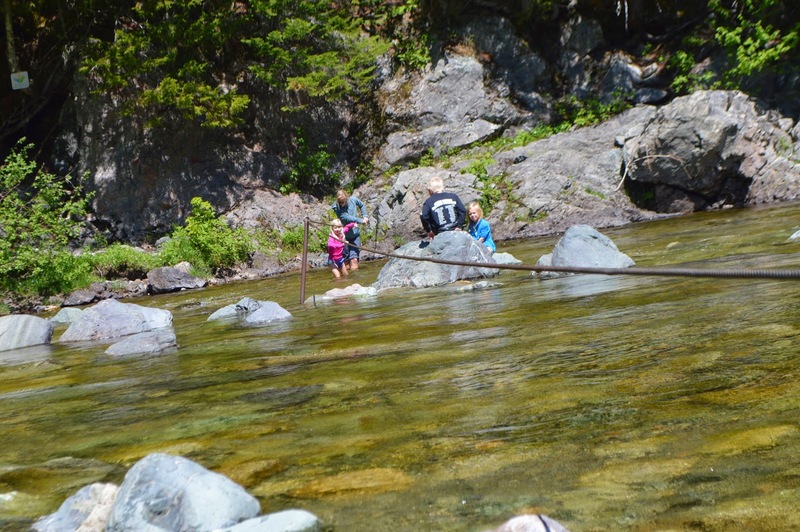 We drove the road and hiked the Big Salmon River, Melvins Beach and about 4km of the trail. We had been advised not to take Big Country on this drive. With 16% grades, we would agree. The next AM, JAK and Daddy awoke for the sunrise. 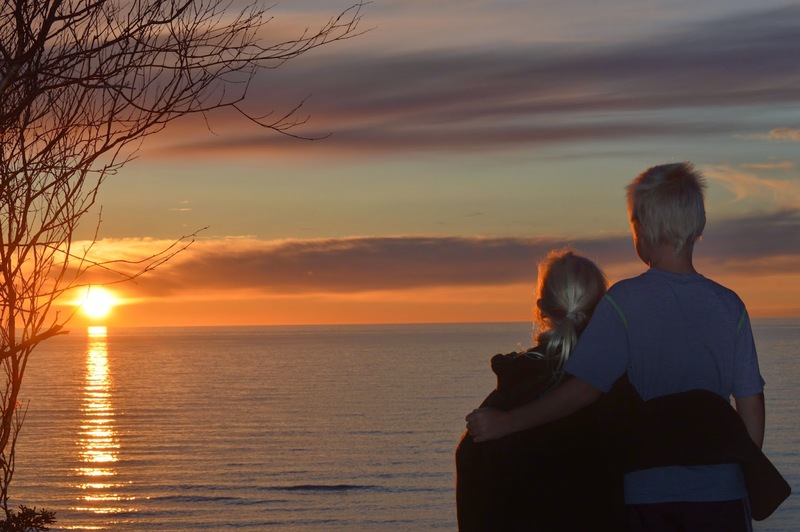 It was a special view and a special time together. 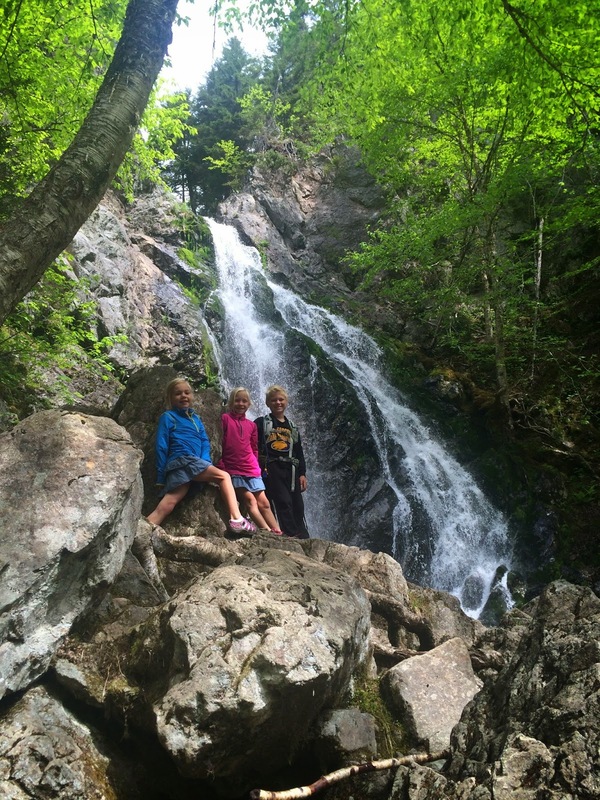 We could have stayed longer, but decided it was time to head to the Fundy National Park. 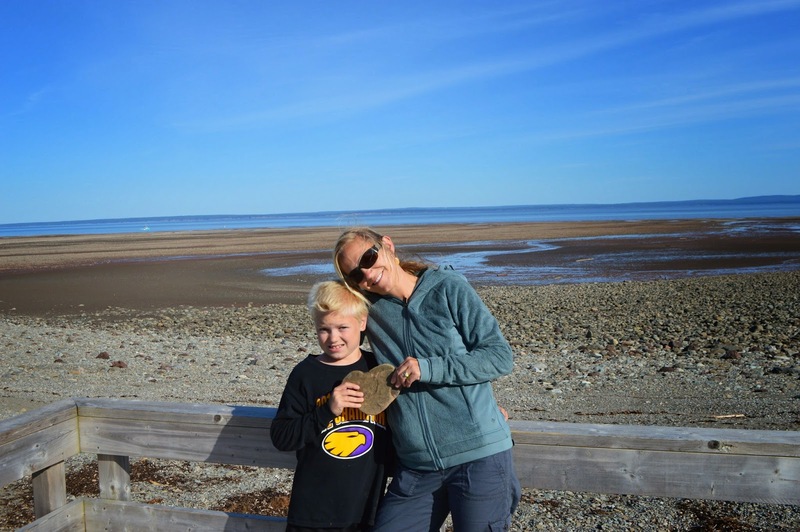 Maybe it was the fact we had most of the RV park and beach to ourselves, but we would highly recommend St. Martins. 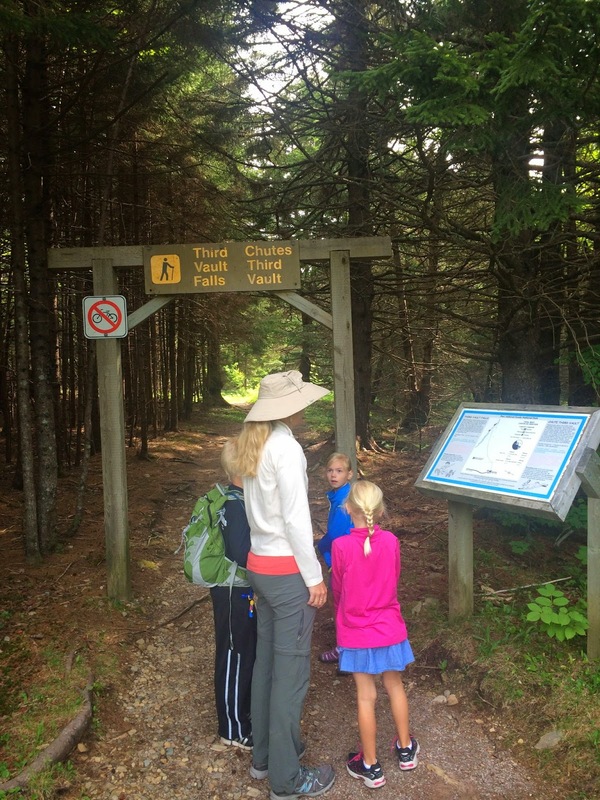 Because the Fundy Trail does not yet connect, you have to head inland to Sussex and then back out to the coast. Even the construction sites in New Brunswick make you feel welcomed!! 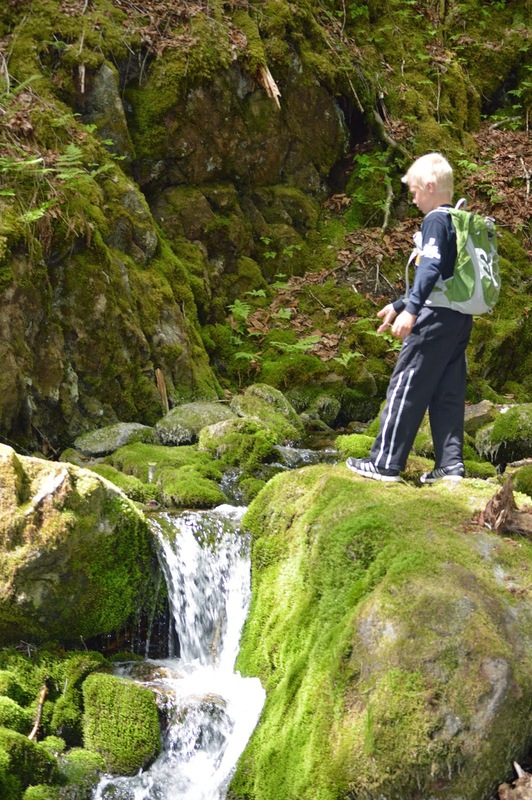 We stated at the "Headquarters" campground within Fundy National Park. 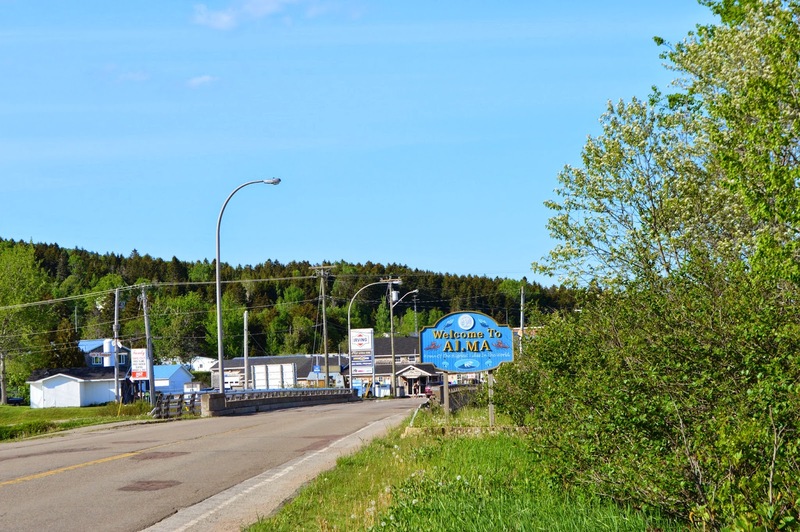 It is located less than a mile from the small town of Alma, NB. 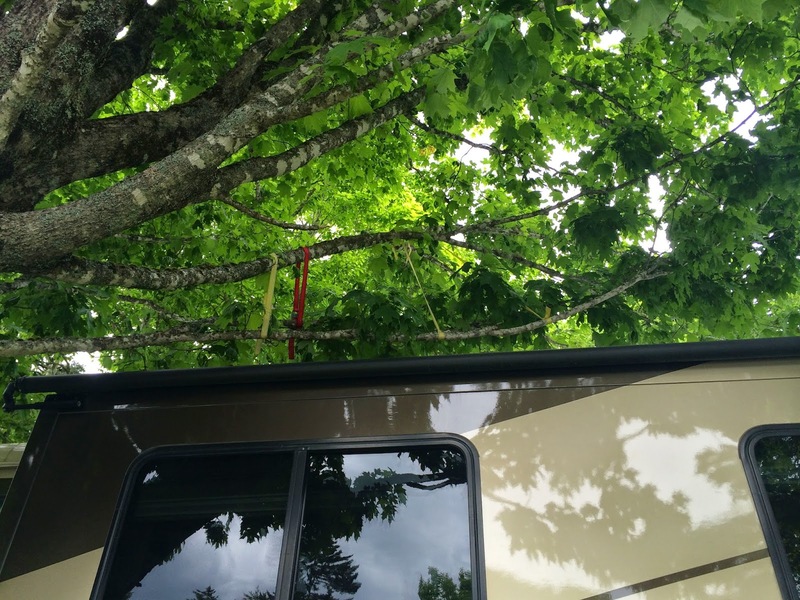 In order to "leave no trace" on the RV or the environment, Daddy had to do some tree management to fit into our spot. There is a great playground (and they are building an even better one) with a zip line near the headquarters park. 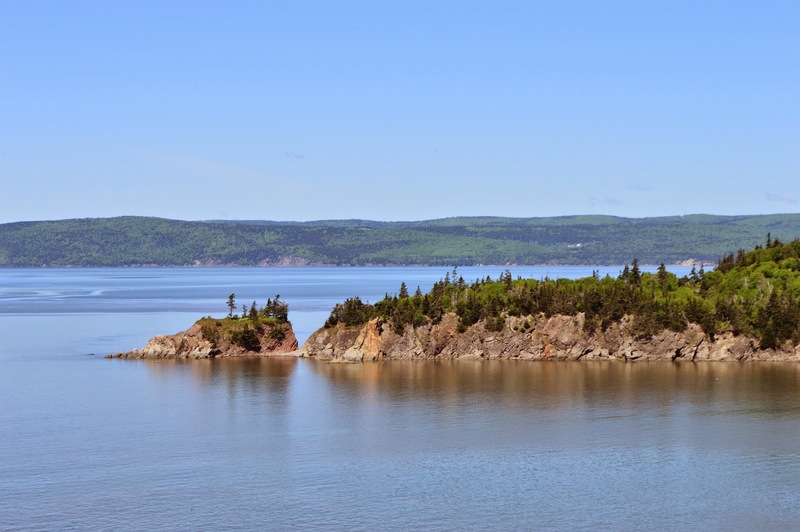 We also visited Cape Enrage. 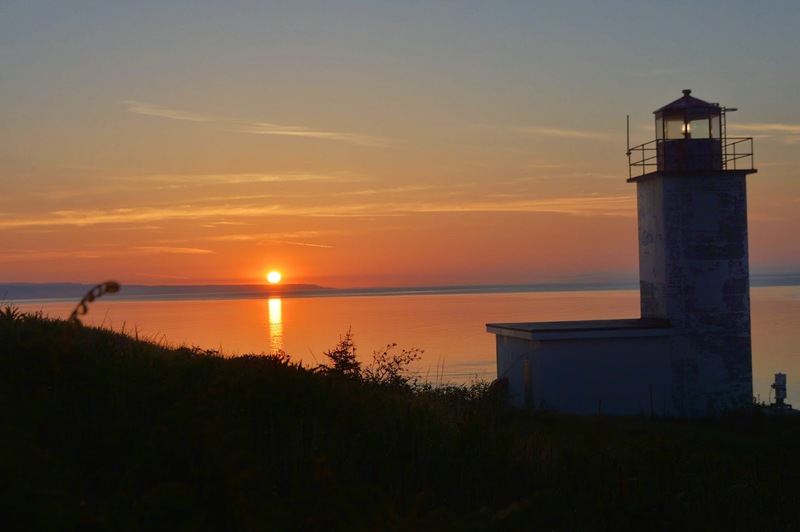 Cape Enrage is the site of a historic lighthouse. When the lighthouses were automated in the 80s, the lighthouse fell into disrepair due to vandalism. A local high school teacher and set of students banded together to save the site. 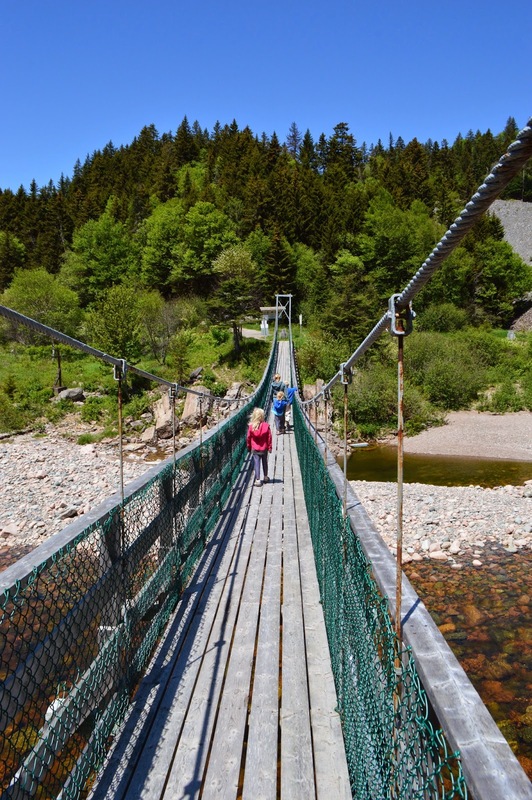 They created a great place to visit and partake in zip lining, repelling, and education while enjoying the vistas. JAK counted the steps from the high tide shore out to the where this picture was taken, looking back at shore - 1100 strides. It takes a long time to walk that 1/2 mile. Make sure you wear mud boots! We don't have any quotes or cut-outs this week. But we do find the school crossing signs different here. It appears the children are much larger - boys out the left, girls to the right! 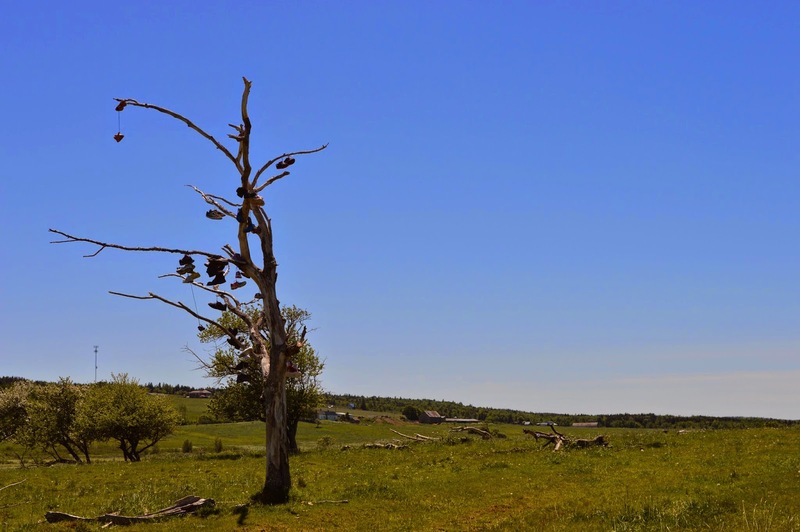 New Brunswick is wonderful and very natural. The people are extremely friendly and the small towns are unique. 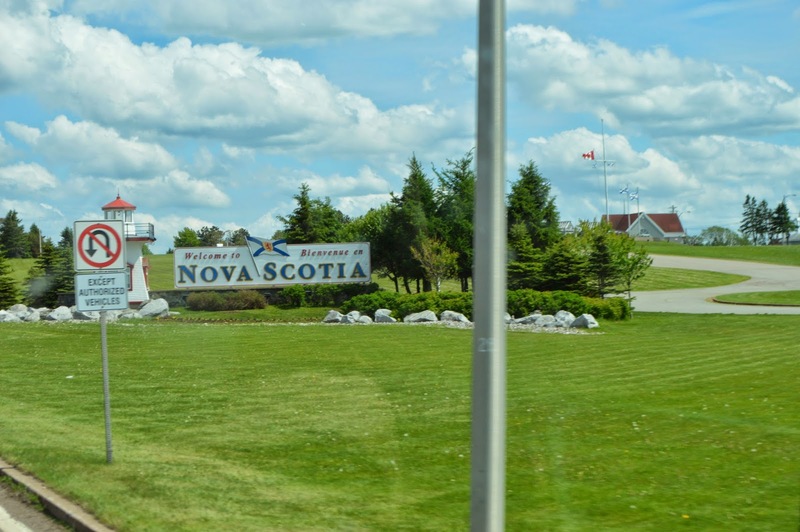 Today we are headed north and across to Nova Scotia. 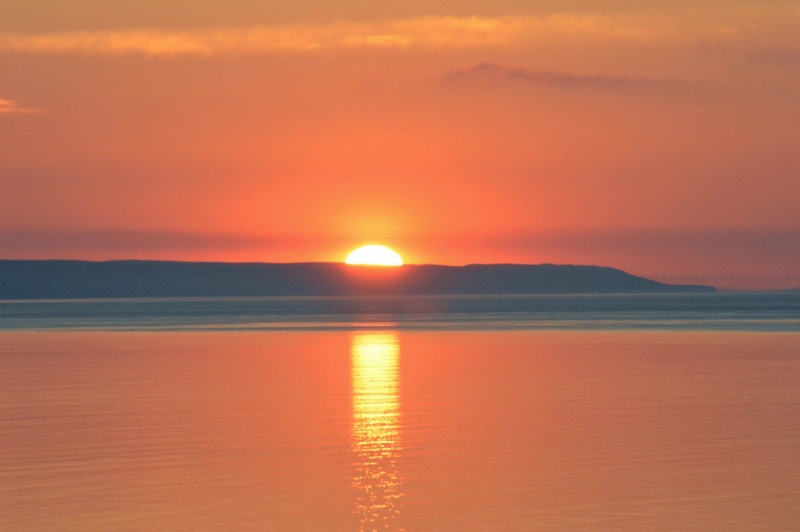 As your school year has come to an end and your summer is beginning, we pray for you a fun, safe and peaceful summer! And if there is anything anyone would like us to pray for specifically, shoot us an email and we can add it to our list:) Happy Trails and God Bless!